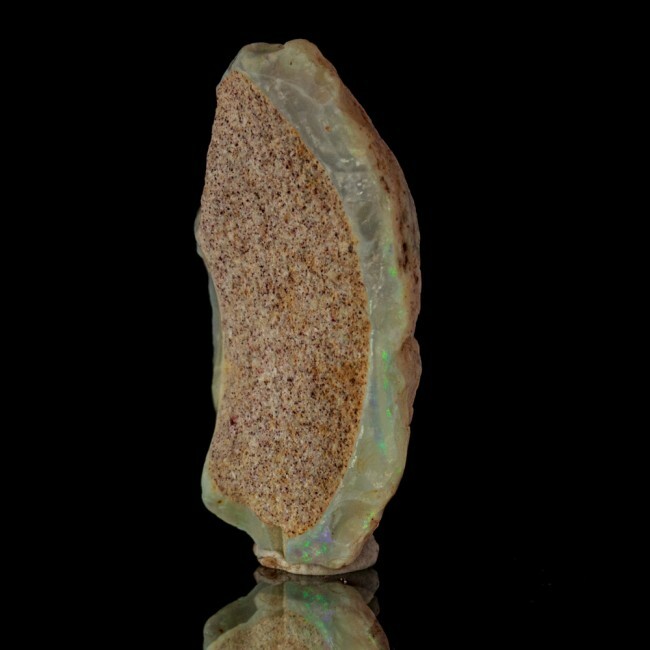 Size 1.0" x 0.5" x 0.4"
Here is a terrific specimen of OPALISED CLAMSHELL from Coober Pedy, South Australia, Australia. 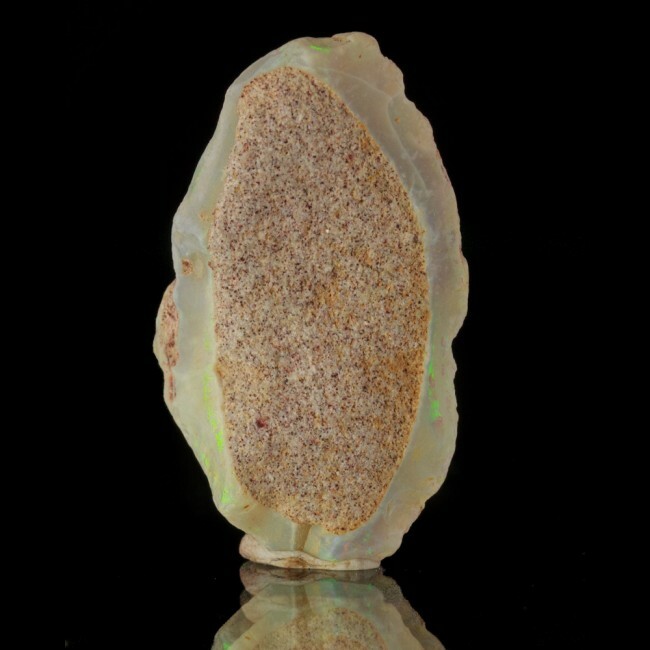 The opal in this specimen shows good opalescence, flashing red, blue, and electric green in color. The clam is a fossilized bivalve from the Maree Formation, with an age of 135 million years old! This is another terrific specimen which we picked up out at the Tucson Gem, Rock & Mineral Show from an Australian fossicker (mineral miner) who collected the piece himself and brought it with him to Tucson (a 22 hour flight!). He goes by the name "Harley Quinn," but he explained that that's not his real name - it's a little joke. It seems one of the local names for opal is "harlequin stone", so he was making a playful little pun (groan) when he named his business. I forgave him, but insisted he had to sell this specimen to me at a lower price to pay for the bad pun.